Due to a fire at Ford Motor Company’s Detroit headquarters, we did not receive Ford/Lincoln/Ford MoCo October 2016 Canadian auto sales figures yesterday, when other automakers reported. 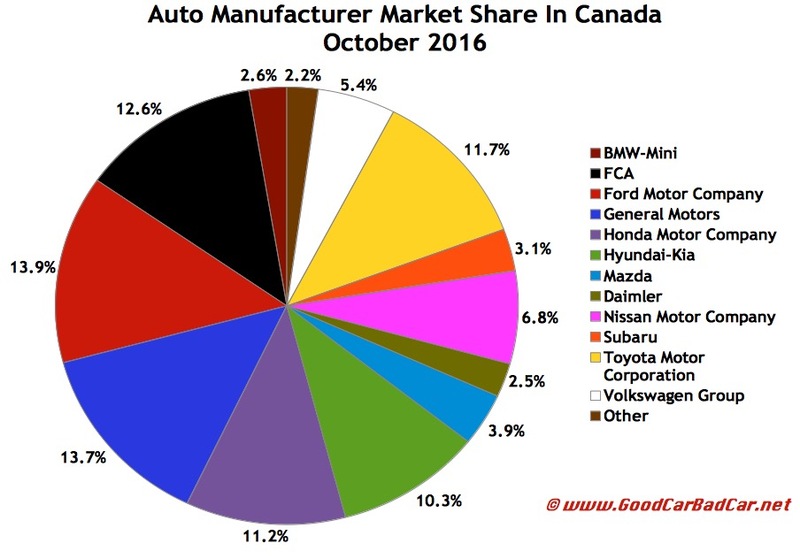 Now, with Ford Motor Company stats reported, we see that the Canadian auto industry declined 5% in October 2016, a loss of 8600 units. Jaguar, Maserati, Buick, and BMW were Canada’s fastest-growing auto brands in October. Jaguar volume nearly quadrupled thanks to boosts from new models in new categories. BMW and Buick both jumped by more than 20%. 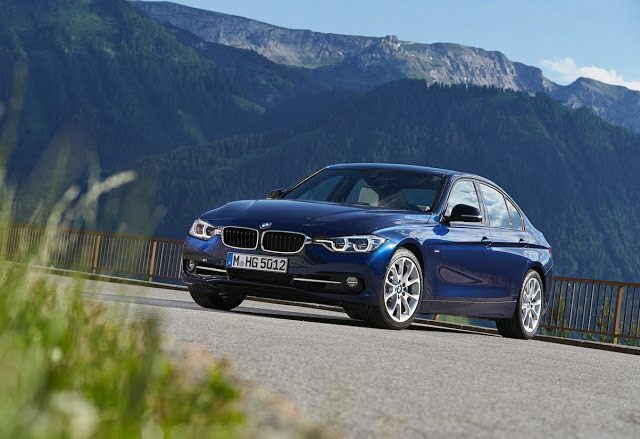 BMW, as a result, was Canada’s top-selling premium auto brand, outselling usual top dog Mercedes-Benz by 150 units. The Honda Civic was Canada’s best-selling car thanks to a 2% uptick to 6397 sales, more than the Ram P/U. The Honda CR-V led all SUVs and crossovers, rising 21% to 4404 units. Ford, despite a 3% drop at the overall company and a 2% drop at the Ford brand, was the top-selling manufacturer and top-selling auto brand. Canadian passenger car sales slid 9%, claiming only 34% of the market. Ford Motor Company, General Motors, and Fiat Chrysler Automobiles earned 40% of the Canadian auto industry’s volume. The auto industry is now 38,000 sales ahead of last year’s record pace through ten months of 2016. Auto sales in November and December would need to fall 14% in order for 2016 to not be a fourth consecutive year of record sales. Don’t like to see automakers arranged alphabetically? Click column headers to sort automakers by October sales, year-over-year change, year-to-date totals, or any other order. Best seller lists for cars, trucks, and SUVs will be added in the next few hours. In the coming days, GCBC will also publish a complete list of year-to-date sales for every single vehicle line, a list which includes brand results. To find out what you can expect, you can see the 2015 year end version of that post here. You can always find historical monthly and yearly sales figures for any brand by clicking the brand name in the table below or by selecting a make (or model) at GCBC’s Sales Stats page. Mobile users can now thumb across the table for full-width access. Click column headers to sort by specific categories. Using the mobile version of GoodCarBadCar? Switch to the web version at the bottom of the page, at which point columns should be sortable. ^ Excluding Sprinter/Metris: down 4.1% to 3285 in October; up 4.1% to 34,173 YTD. ° Scion is discontinued, now part of Toyota.